Recent release “BEP The Story of the Man in the Brown Fedora” from Page Publishing author Ed Sharpe is a fascinating glimpse into the memories and experiences of Bep Sharpe. 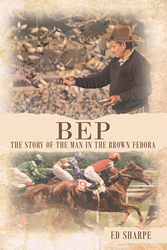 Ed Sharpe, a devoted writer and author, has completed his new book “BEP The Story of the Man in the Brown Fedora”: a gripping and potent collection of stories that depict the life of a man. These stories detail the character and personality of the author’s fathers. Published by New York City-based Page Publishing, Ed Sharpe’s commemorative tale travels through history and a family’s ancestry. Readers who wish to experience this inspiring work can purchase “BEP The Story of the Man in the Brown Fedora” at bookstores everywhere, or online at the Apple iTunes store, Amazon, Google Play or Barnes and Noble.